Buddy Holly was just 22 when he died in an Iowa airplane crash in 1959, and although he had been pursuing music professionally for only about four years, he had already produced lots of terrific original work. There’s still much more to Valens’ catalog than his trio of hits, and you can find his entire output on two collections, both of which come with extensive and informative liner notes and track information. 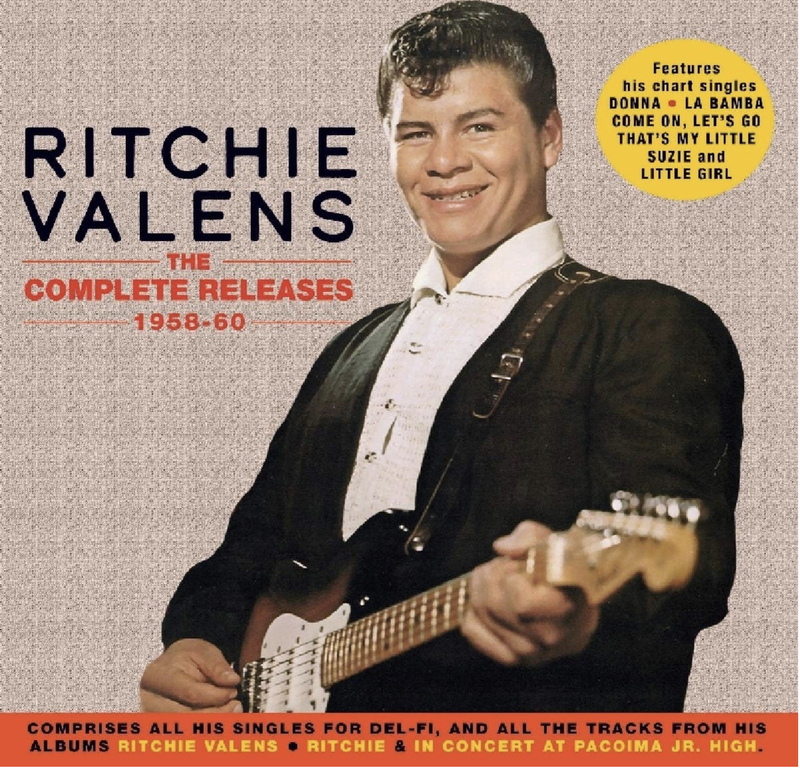 The two-disc Ritchie Valens: The Complete Releases 1958–60 (which has been available previously with a different title and cover) delivers just what the moniker promises. 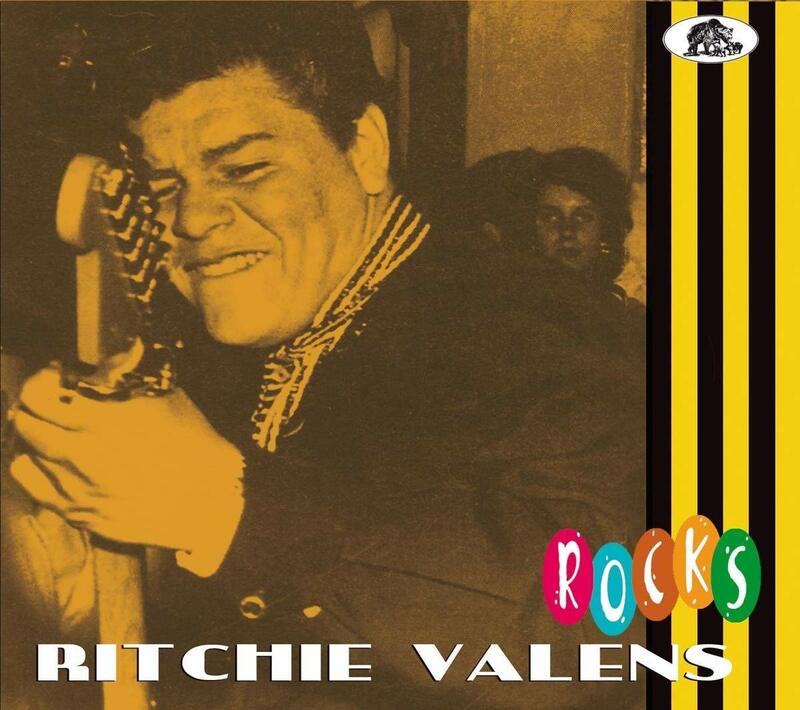 Among the 35 tracks are both sides of all of his Del-Fi singles plus everything from his three albums: Ritchie Valens, Ritchie and In Concert at Pacoma Jr. High (the L.A.-area middle school he’d graduated from only a few years before his career began). The other new release, the 36-track Rocks, digs deeper: it duplicates the better-known material from the first collection but fills the rest of the program with interesting obscurities, such as studio outtakes, recordings made at the home of producer Bob Keane and five performances from Jan. 21, 1959, less than two weeks before Valens’ death. Also here are a radio commercial for “Donna,” with voiceover by Valens; the aforementioned radio announcement of the airplane accident; and “Lost Without You” and “Now That You’ve Gone,” two post-crash songs performed by Donna Ludwig, the girlfriend who inspired Valens’ biggest hit. The material in both collections—which, incidentally, feature a then 22-year-old Carol Kaye, the subsequently renowned session guitarist—makes a strong case for Valens’ importance. A pioneer of Chicano rock, which later gave us artists such as Freddy Fender and Carlos Santana, he incorporated south-of-the-border elements in some of his music. “Come On, Let’s Go” was one of several examples of what became known as garage rock. And his ballads—not just “Donna” but also such numbers as “Hi-Tone,” “My Darling Is Gone,” “Stay Beside Me” and “Now You’re Gone”—reveal vulnerability and an appealing softer side.